Get up to 3 LEDs and a free reusable bag at an upcoming Safeway event! Bring in your old incandescent or CFL light bulbs and DEP will exchange them for up to 3 new and energy efficient LEDs. The ENERGY STAR®-certified LEDs we’re giving away offer a warm white light that’s equivalent to a 60-watt incandescent bulb. The giveaway is a partnership between Department of Environmental Protection and Safeway. 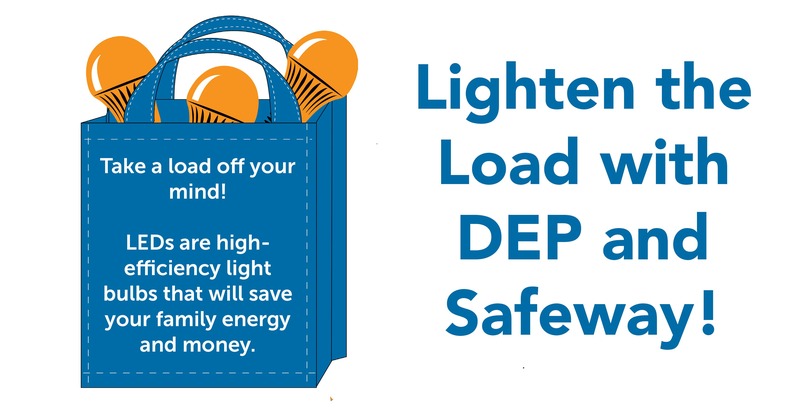 8 comments on "Lighten the Load with DEP and Safeway"
Will you take the long fluorescent lights? I know I can’t exchange them but I just want to get rid of them in a safe way. We will be happy to take any lightbulbs that need to be recycled at the transfer station. Please note that there is a limit of 3 bulbs per family. If you want to bring us more than 3 bulbs, we will be happy to take them but you will only receive the 60W equivalent. Thank you for checking and hope to see you soon! A BIG “Thank You” to DEP and Safeway for doing this project! I was able to swap bulbs at 2 different locations. This is a great initiative! Unfortunately, I could not make any of these events – will others be scheduled in the fall? Camille! You are one lucky resident for sure! Glad you could visit us at two locations! In celebration of National Energy Action Month, DEP and MCPL are hosting Books & Bulbs events to save you money and protect the planet. Join us to learn ways to save energy, keep money in your pocket, and get rid of old incandescent and CFL bulbs. 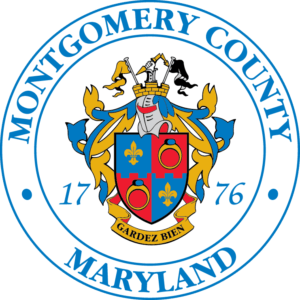 At these events, we’re giving away up to three, free LED lightbulbs at six Montgomery County libraries in celebration of Energy Action Month this October.